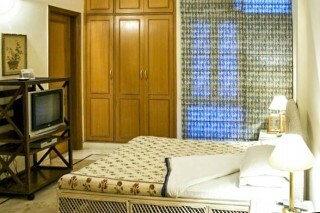 Home stay provides a home-like environment to relax and unwind, yet is situated in the heart of the city.The Hauz Khas market is a two minute walk away and has several restaurants and coffee shops along with some interesting shopping.The Hauz Khas Village offers visitors many art galleries, boutiques & curio shopping as well as several interesting options to eat, most with great views of the City, Deer Park and the Lake.This property provides a home-like environment to relax and unwind, yet is situated in the heart of the city. 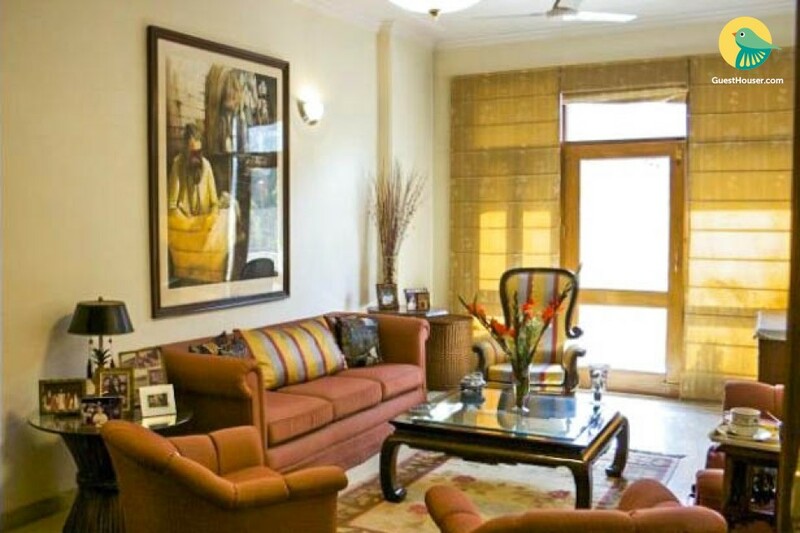 Close to major markets, monuments and places of interest, it provides an ideal balance to your New Delhi soiree.Complimentary breakfast is provided. 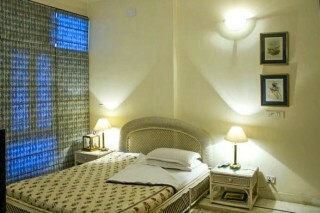 The homestay has spacious room with well-equipped bathrooms attached to each. The huge living room has an open balcony and sit-out which makes for a pleasant evening. 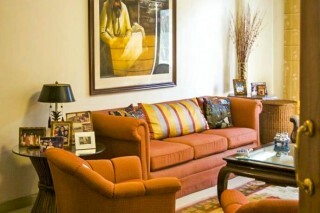 Elegantly furnished with modern and traditional wall paintings and artifacts by local artists, cane beds and lamps and wooden furniture decorate the room. 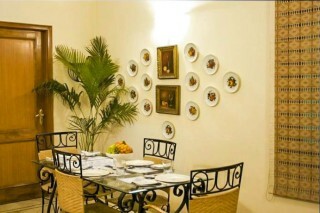 This homestay has big rooms which are very well maintained. 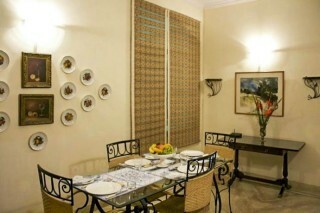 It has a big living room which is beautifully furnished and a big balcony with an awesome view. 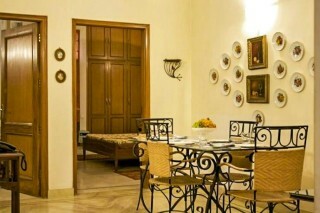 The best part, Hauz Khas Market is hardly 2 minutes away. The property owner is a travel enthusiast who loves to share his travel stories with his guests & the entire experience was simply amazing.